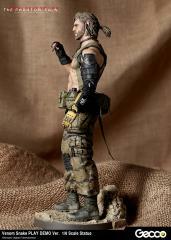 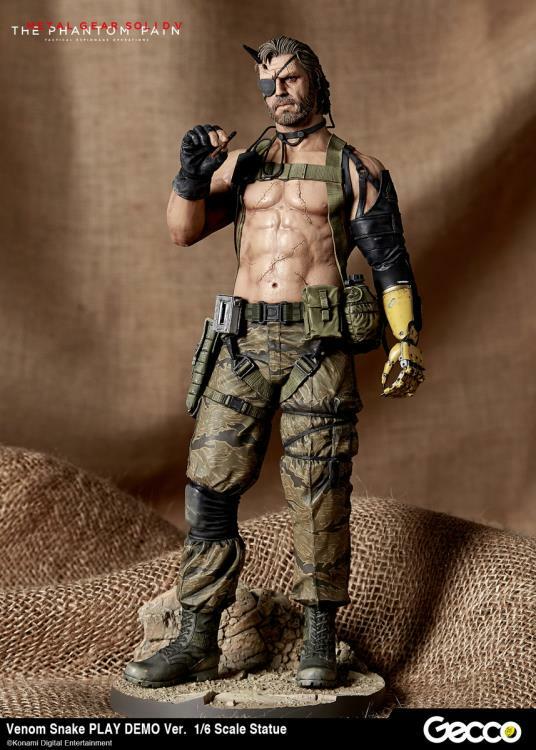 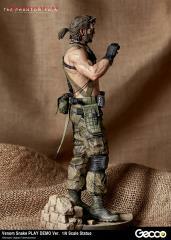 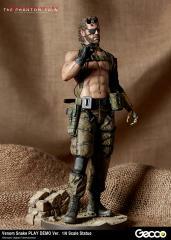 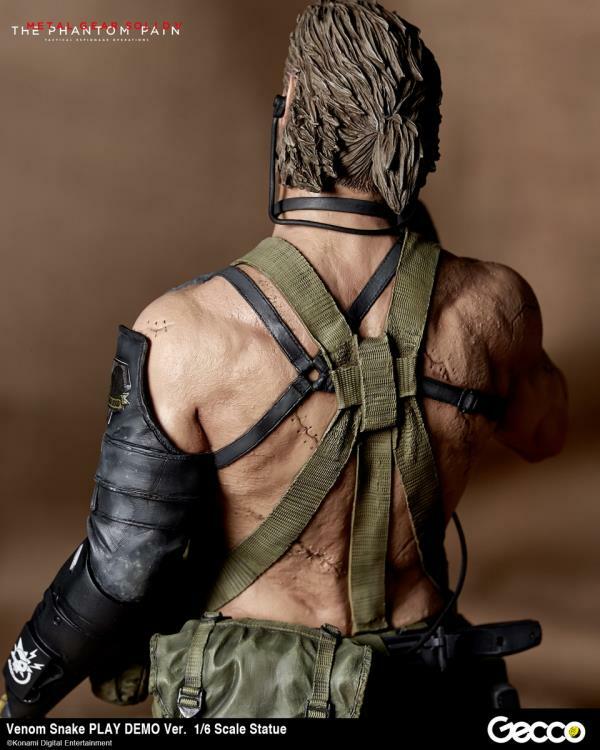 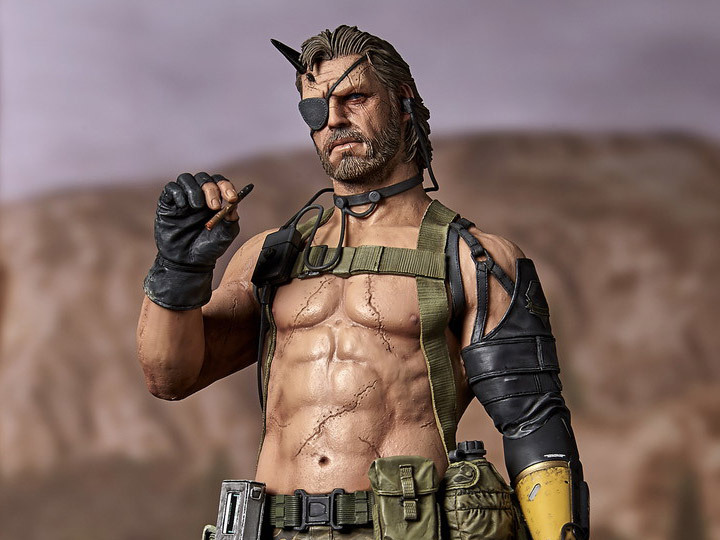 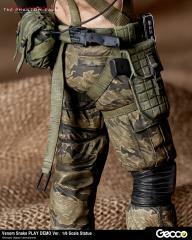 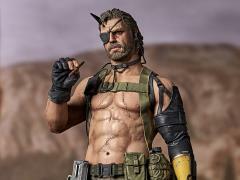 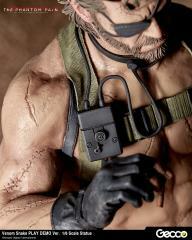 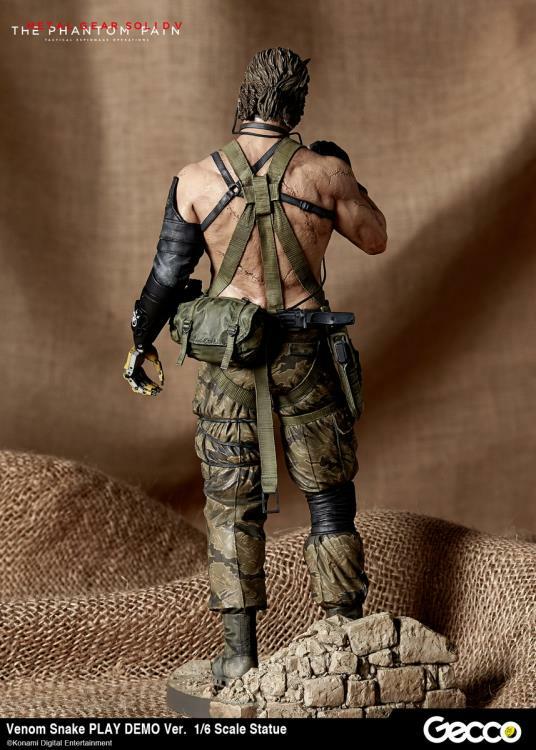 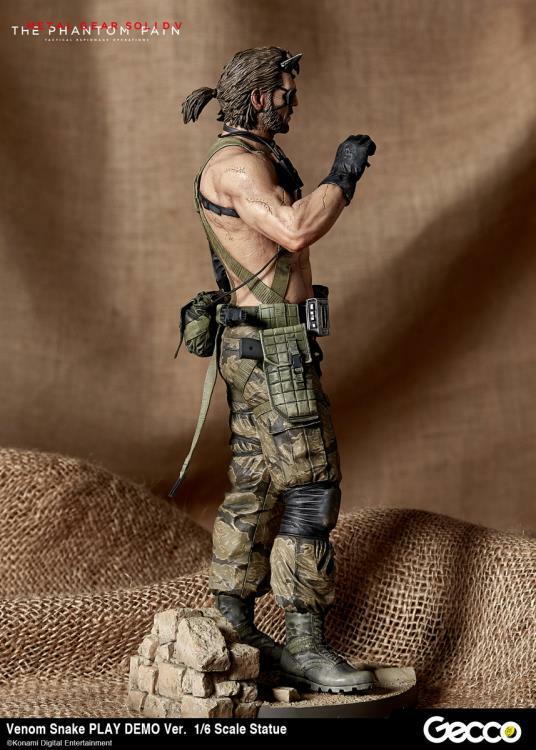 Venom Snake appeared shirtless in the play demo version at the Tokyo Game Show 2014 and is now lined up as limited statue of 800 pieces. 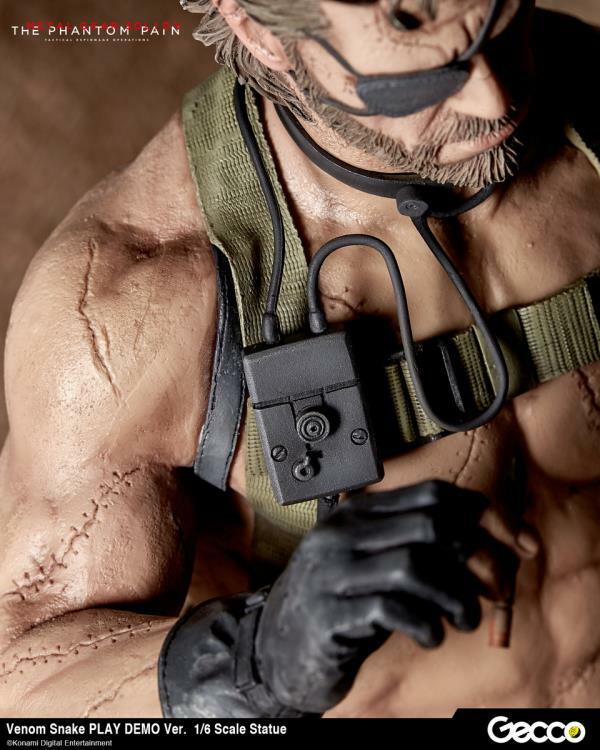 The upper body captures the anatomy of an experienced aging soldier, his torso thinly covered with countless scars piled up from tough missions and war. 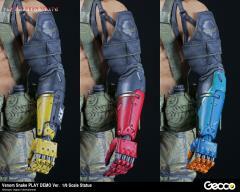 The left bionic arm is equipped with a Stun Arm, which can knock enemies unconscious with electric shock, and is interchangeable with the Hand of Jehuty or the red default one. 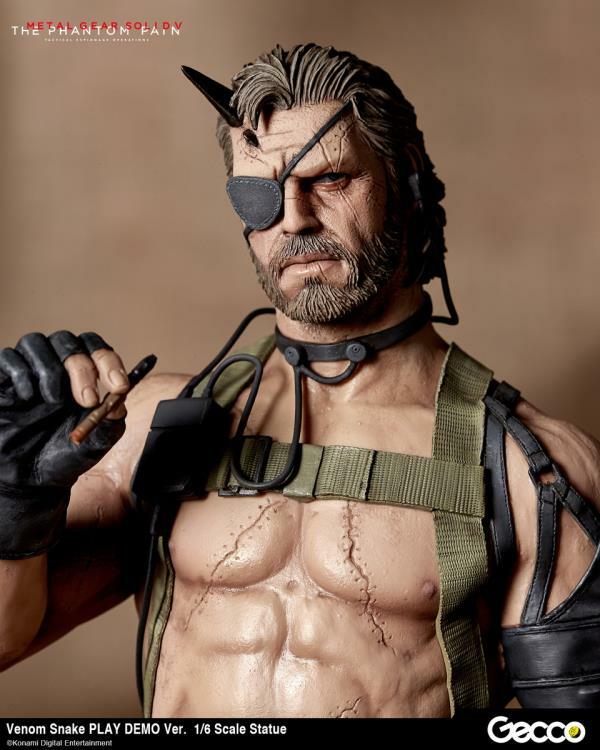 This statue highlights both his relaxed posture with Phantom Cigar in one hand and a super tense atmosphere with his sharp eye always watching out for enemies.